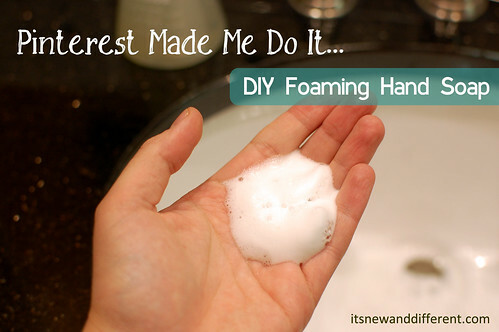 Pinterest Made Me Do It - DIY Foaming Hand Soap - It's New and Different! It's New and Different! If you’re a Pinterest addict like me, you’ve probably seen more than a few pins touting the benefits of making your own foaming hand soap. It’s cheap! It’s easy! You can control the ingredients! You know I’m all about cheap and easy, but today, I just needed soap. The soap dispensers were empty, and since the main road has been closed since the floods, the nearest store is over an hour away.  A quick search on Pinterest for “foaming hand soap” yielded approximately 39802938 slightly different recipes for foaming hand soap, so I took a closer look at a few of them. The Moms Who Blog take the straightforward, thrifty approach: 1 part soap to 8 parts water, shake gently, and you’re done! Melissa at Frugal Creativity likes to use body wash, which she says gives great results – and she only uses one tablespoon of soap! But, Glamour Puss cautions to never use “creamy” soap, because it can clog the dispenser. Kim, from What’s That Smell, is concerned about unnecessary chemicals in her family’s life, so she uses castile soap. At More Green For Less Green, Pamm scents her castile soap with essential oils. And Ashley Benson suggests adding “1/2 tsp of Vitamin E oil, Almond oil, or vegetable glycerin” for a little moisture. One glaring problem with most of these “recipes” is that they don’t give any actual measurements for soap and water. “Fill 1/8 full” doesn’t help very much if your container is shaped all weird like mine. “Use 1 tbsp.” doesn’t help if you don’t say how much water you’re adding. So, while you can certainly just eyeball it, I’ve included actual measurements. I like to mix it up in a Mason jar so I can refill my soap dispensers easily. 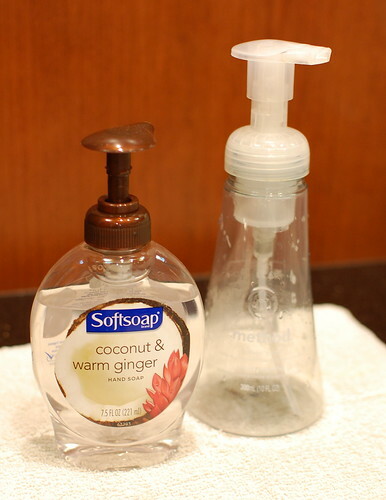 Combine soap & water; mix gently. 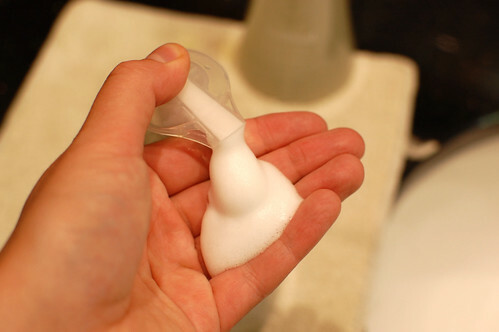 Pour into an empty foaming soap dispenser. Dr. Bronner’s is a brand of castile soap that’s biodegradable, certified fair trade, and action-packed with exclamation points. All-One! 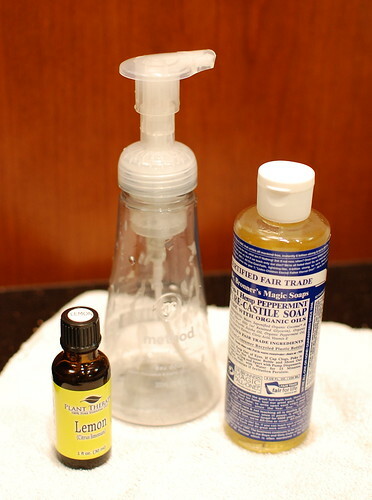 My bottle of Dr. Bronner’s is peppermint-scented, so I used lemon essential oil to create a light and clean fragrance. You can leave it out completely if you prefer unscented soap. Combine soap, water, and essential oil; mix gently. Pour into an empty foaming soap dispenser. Just look at that beautiful foam! Both recipes created foam that’s just as good (if not better!) than the store-bought refills. 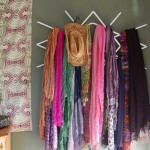 It’s always so satisfying when a Pinterest project succeeds, isn’t it? Kim @ What's That Smell? on October 1, 2013 at 1:37 pm. I was so glad to come over here and not see a Pinterest FAIL post. I’ve seen some of those LOL. It’s amazing how easy it really is to make foaming soap! Mim on October 1, 2013 at 3:10 pm. Sometimes my Pinterest projects ARE total failures, so it was refreshing to have one work out! Teresa on October 1, 2013 at 5:45 pm. So glad the foaming soap worked for you. Our family’s still using it and saving money!